How to Manage "Log In" Feature Brief In Joomla 2.5.x? Joomla is one open source software that just keeps getting better. It has come a long way and the recent releases are getter still. Joomla is often implemented as a content management system though it has enumerable number of applications. For i.e. it can be implemented as a ecommerce website as well or even a magazine for that matter. Websites like an ecommerce site, or a magazine with an online forum or even a community build website for social networking require a login feature. It is via this login feature that the various different users can login to their own personal account and manage their usage of the website. This may be their purchase account in case of an ecommerce website, or an account maintain their profile in case of a social networking website. The Login-In feature is one of the most important features on any website. With Joomla it is simple enable or disable the login module. You simply need to follow the steps mentioned below. In case you have a ready made template installed the template will have additional options and configuration preferences that are required to tweak. 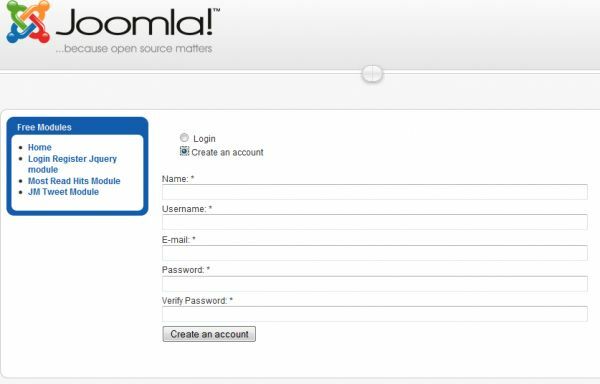 To start with login to the admin section of Joomla website. Now navigate to your installed template by going to Extensions >>Template Manager and clicking on your template for the user side. Once you do this a new menu will load below the main menu. Select the features tab and check the page that loads. Here you will find a section which says Login next to which there will be an on/off toggle button. Here you can turn on the login module as well as select which position you want it to be displayed in. Once all the options have been selected save them. Now from the main menu navigate to Extensions >>Modules Manager. Simply select new here and add a new module to your project. Here too you will need to select the login module from the list and then enter the same position as that entered in the template. Once that is done save the new module and refresh your user end website. You will notice the Log-In section as appeared in the section that you selected. On the other hand if you have opted for a customized design and template; it is most probably going to be have to be professional Joomla web developer you will need to handle the website. Alakmalak is one such Joomla Web development company that provides several website services. How do you redirect users after a successful login in joomla? How to manage "Log in" feature in Joomla 2.5.x?